March is the first month of Spring. All the Spring bulbs are starting to put their heads above ground level out in the garden: Even the tulips are showing off with small green tops. 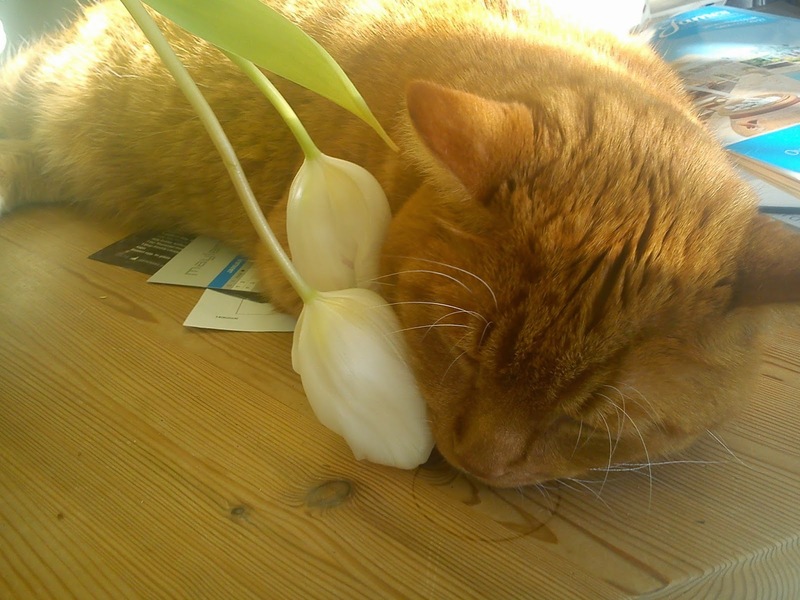 So to have blooming tulips indoor I have to go the flower shop. Here in March I have to big things on my agenda. The first is, that I will be picking up the finished ceramic tiles for my kitchen. It will be very exiting to see, how the mosaik will work in reality on the kitchen walls !!!! The second thins is, that I will host the annual returning event of gold ore lunch for fellow rowers, where I gather all the fellow rower from the local rowing club, which has assist me in rowing 1607 km during the rowing season of 2014. This year I have decided to make a brunch, and the menu is almost decided upon. 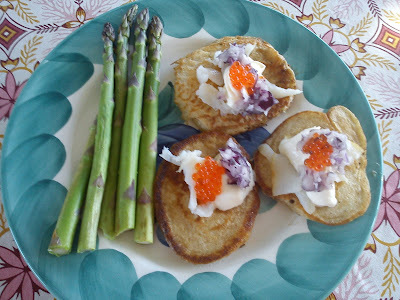 A typical dish in season right here and now is lumpfish roe served together with blinis.